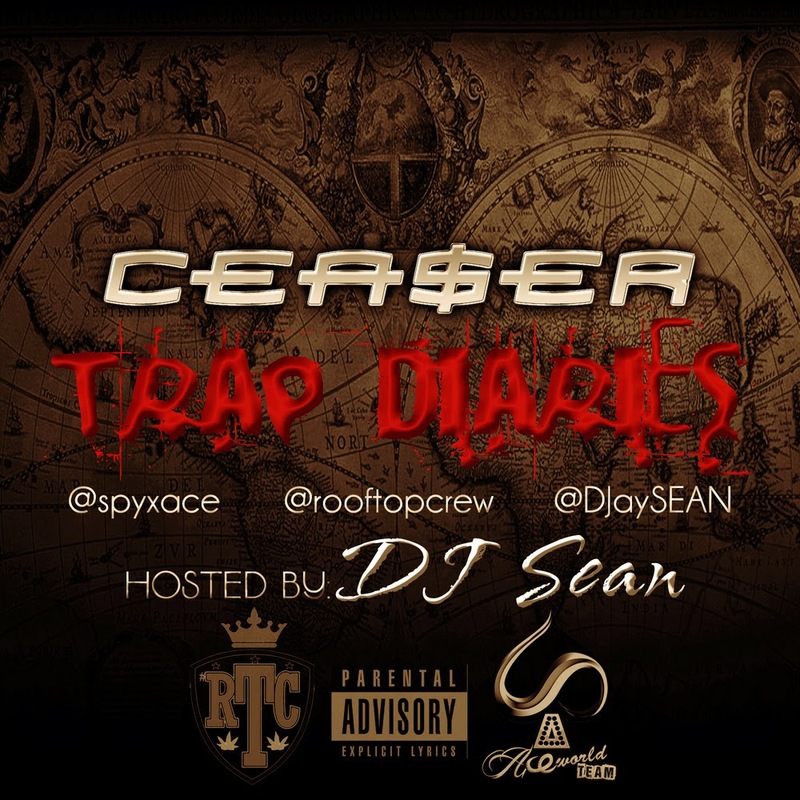 Ceasar is the name, but spelt as Cea$ar; Cea$ar [a.k.a $py] who happens to be the captain of the RoofTopCrew makes his debut with the long awaited "Trap Diaries" mix-tape; the UK-born lyricist brags about excellent command of the English language which is evident in the lyrical content of his debut. Though born outside the shores of Nigeria, theWest Coast emcee represents for his town of residence, Ota, Ogun state, Nigeria. Ever since the RTC [RoofTopCrew] began dropping mix-tapes in May 2013, they've released "#DLDHW" by Archiles and the entire crew went on ahead with the "#GWGmixtape" in August; come November 1, 2013, Giorgie McCoy dropped his debut, the "#CFRmixtape". "#TDmixtape [Trap Diaries]" is the 4th mix-tape from their stables and it is fast becoming something you can continually look out for; the "Trap Diaries" has a couple of excellent joints - "Pound Cake", "Bricks", "Street Chronicles", "Lunar" and "Mass Appeal" are just a few of what to expect on the 16-track compilation, which is hosted by DJ Sean, a disc-jockey for 19jaRadio [an Online Radio station, based in the UK]. Asides the usual suspects from the RoofTopCrew, Cea$ar features a couple of new acts on the tape, the likes of Hyphen-B and C.O.C; all-in-all, this material boasts of real music. The "#TDmixtape" is mixed and mastered by DahBee, the C.E.O of Sound Bank Studio; "#TDmixtape" entails the genuine essence of Hip-Hop, undiluted. | ENJOY!! !